You've already designed the ultimate gamer rig with your desktop computer, but you're starting to miss the outside world a bit. You don't want to stop gaming, so that leaves you with a bit of a conundrum. The answer lies with gaming laptops. These super-powered laptops pack a lot of punch in a small chassis, giving you the mobility to game wherever you want. Your boss or professors probably won't appreciate it, but they just don't appreciate the joy that comes from a laptop that can play Crysis 3 on Ultra High settings with anti-aliasing and a 1920x1080 resolution. If you pick the same company that supplies your business with workstations, or who built your home computer, you're probably far off the mark. Some smaller, boutique laptop manufacturers put out high end computers, focusing their business on the niche market that needs to get the best of the best. Companies such as Sager, Republic of Gamers and MSI Steelseries have a strong reputation for creating amazing builds that have the overclocking and cooling needed to get the most out of their systems. 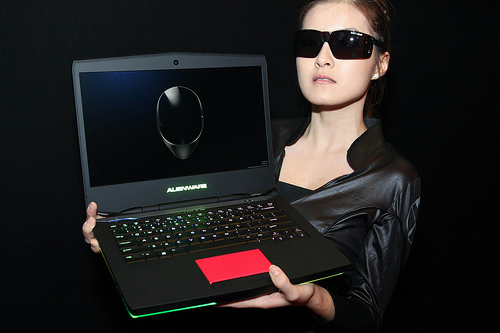 Of course companies such as Dell, with its purchase of Alienware, and Lenovo, with its mid-range gaming laptops like this Ultrabook model Y410, have solid options for more budget-minded gamers. The main reason you're buying a laptop instead of figuring out a way to shove four more video cards in your desktop tower is because you want mobility. Before you decide that the 17.3-inch laptop is calling out your name, consider everything you're going to be using it for. If you're only dragging it over to your buddy's for glorified LAN parties, then you're good to go. If you actually want to use it for work or school and want something lightweight, Laptop Mag recommends going with something a little smaller, such as the 15.6-inch options. Some smaller 12- to 14-inch laptops do play games, but the smaller chassis makes it harder to fit all of the essential gaming equipment in there. There's a reason you don't see many netbook-sized computers with discrete graphics cards, after all. You can read tech specs for each laptop all day long, but they aren't going to mean much unless you know how they compare to other laptop components. You're pretty much stuck with the laptop configuration you purchase, unless you go through a company such as Sager that includes user-upgradable video cards and other components. Laptop testing goes through a series of tests that tax the CPU, GPU and other system components. These results are compared to other similar components, so you know whether it's worth the money to buy at the top of the curve. One site, Notebook Check, includes percentage differences. so you can make the age-old decision of whether $500 is really worth a 30 percent increase, or if you would be better off with the base model.